Proud to be a part of 'The Movement'! 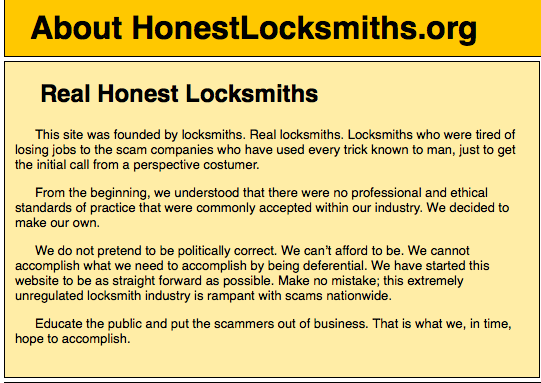 Honestlocksmiths.org is not only a website, but a movement. It started right here in Colorado! Below is a quick synopsis of what they do. It is taken DIRECTLY from their website. We are very proud, not only to have been accepted by them, but to be a part of The Movement that is setting the standard for fair business practices within the locksmithing community.